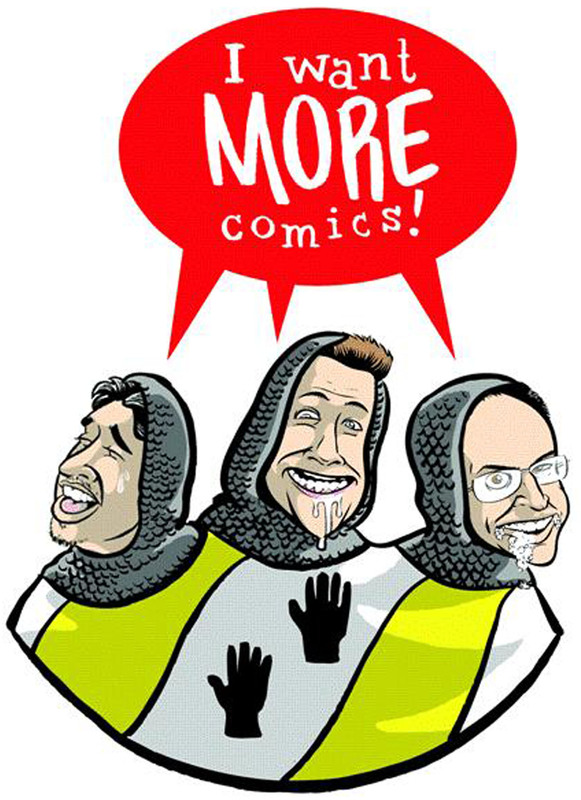 Welcome to the third episode of the I Want More Comics Podcast! In this episode we begin with the News of the new DC Comics Logo, Valiant's new books and sadly the death of Darwyn Cooke. We talk about our Picks of the Week, Satellite Falling #1 and Darth Vader #20 and in our Spinning the Racks segment (where we discuss topics having anything and everything to do with geek culture) we remember the legend of comic book artist and writer Darwyn Cooke. At the end we tease our next show which will be our DC Comics Rebirth show, where we will talk about the new event and also talk to YOU about DC Comics. Be sure to let us know what you think of the show by leaving us a review on Itunes or letting us know through our website, Facebook, Twitter or just in person! Be on the look out for new episodes every Saturday!